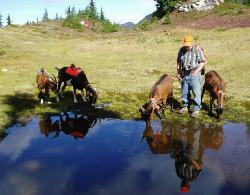 A pack goat is generally a whether (neutered male goat). The breed of goat can be any variety of dairy goat, either purebred or crossbred. 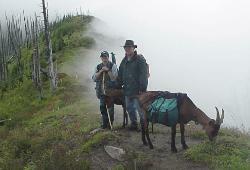 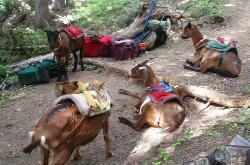 pack stock they use pack and riding stock trails and camps. 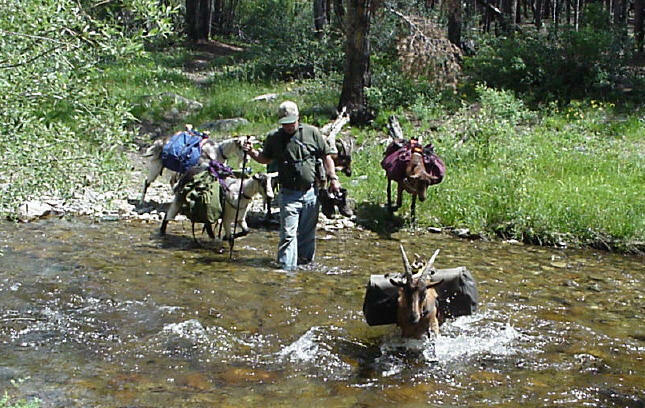 will drop their horns to loose dogs on the trail. Horned pack goats generally do not like their horns touched. 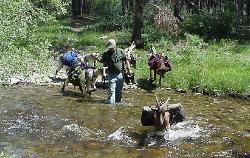 have negligible impact on trail and water source surroundings. 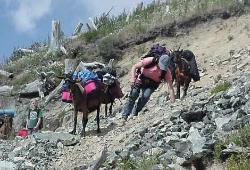 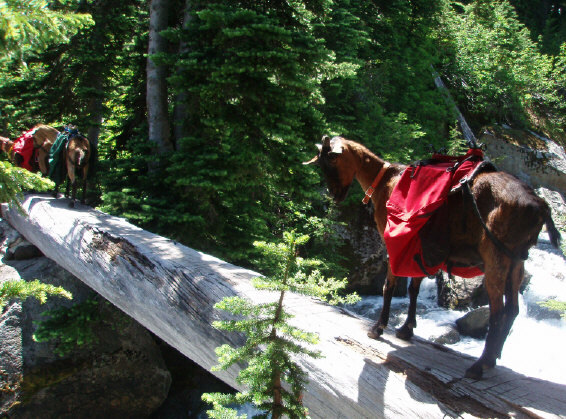 pack goats easily cross the obstruction without creating impact on trail sides. 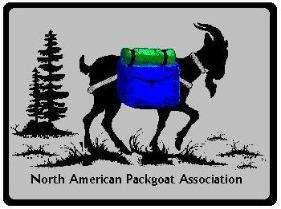 We advise all pack goat users to abide by general leave no trace ethics and TREAD lightly guidelines.